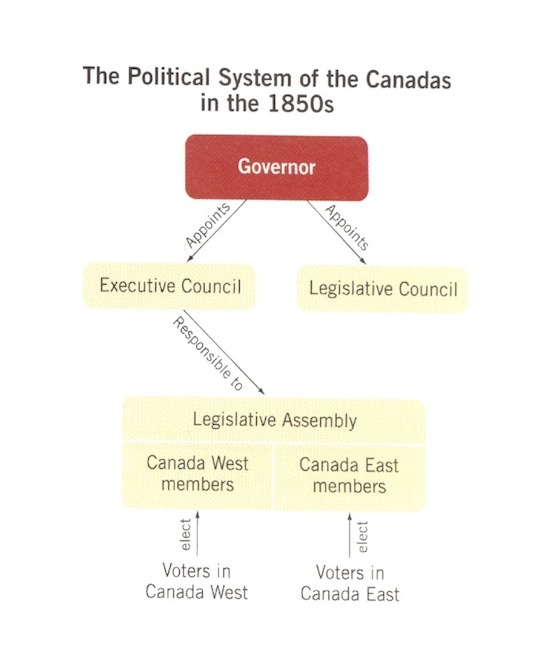 The five factors that led to Confederation. The name of one father of confederation, the colony he represented, and his stance on confederation (you will need to include the BECAUSE word in your explanation). The names of the three conferences and what occurred at each conference. The physical features, political features, people and economic features of one colony. And at least three features your colony shared with another colony. The census of 1871 was the first one held after Confederation in 1867. It showed that the population was made up as follows. *Remember: At this time, Canada included only Ontario, Québec, New Brunswick, and Nova Scotia. Create a bar graph showing the numbers of each ethnic group. Use regular graph paper or GLM 5 Graph Paper. 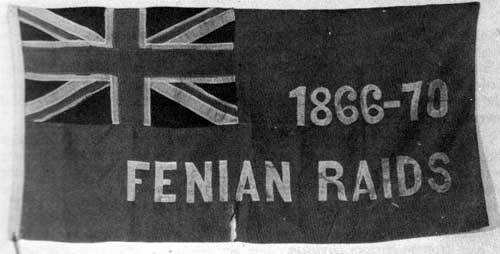 On July 1, 1867, a new country was born. The Dominion of Canada contained four new provinces: Ontario, Quebec, New Brunswick and Nova Scotia. Queen Victoria chose Ottawa as the capital. John A. Macdonald became Canada’s first prime minister. 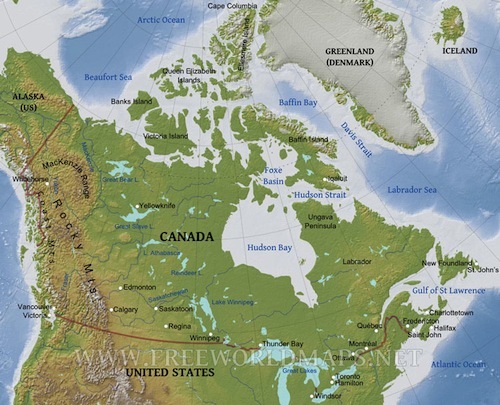 The act that made Canada independent was called the British North American Act. It was re-named the constitution in 1982. Canada would have a federal system. There would be a parliament for the whole country and a legislature for each province. French and English would be the languages of parliament. Parliament would have a House of Commons and a Senate. The House of Commons would be elected by the voters and the Senate would be appointed by the prime minister. Factor 3: Changing British Attitudes: Britain wanted to become less involved in the government of their colonies, because it was very time-consuming and expensive. It was time for the colonies to become more independent. Factor 4: A Railway Was Needed: To encourage trade, increase security and to eventually link Canada from “Sea to Sea”, a railway was need. A “ribbon of steel” would connect the colonies into a single nation. After watching Episode 8 of Canada: A People’s History, list five factors (with a brief description of each factor) that threatened the future of British North America. Factor 1: American Civil War: The North side of the American Civil War threatened to invade British North America because the perception was that Britain sided with the South. 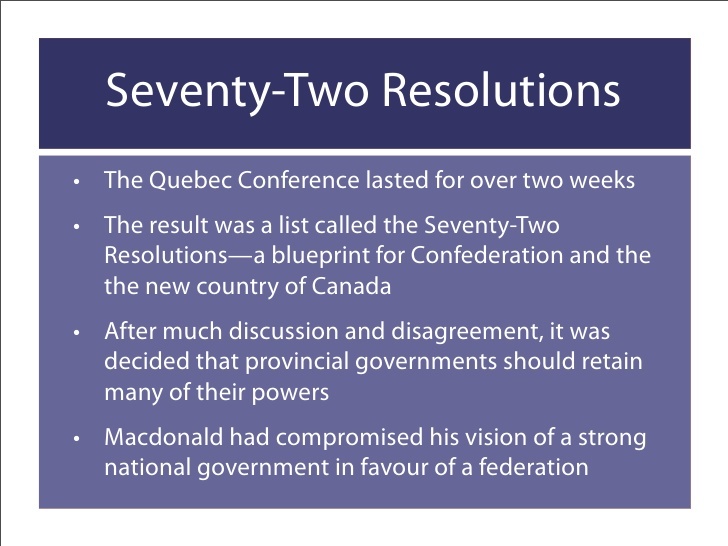 Factor 2: Political Deadlock: Canada East and Canada West could not agree and the government kept failing. In the 1850s: The economy of BNA was becoming industrialized. • Industrialize: develop industries, especially manufacturing industries. • Spread was affected by geography, transportation and population. • Factories built in urban areas. Write three separate pieces of information (facts) into your chart about the political features of your colony. Include: a description of its climate during the summer and winters; a list of nearby bodies of water; a list of neighbouring colonies; a brief description of the terrain and natural environment. In the 1850s: The colonies of British North America were separated by vast distances, bodies of water and difficult terrain. Those who wished to unite the colonies and form one country would have to overcome obstacles imposed by the challenging landscape. Write four separate pieces of information (facts) into your chart about the physical features of your colony. Include: a description of its climate during the summer and winters; a list of nearby bodies of water; a list of neighbouring colonies; a brief description of the terrain and natural environment. Climate was warm and moist in the summer and temperate (mild temperatures/above freezing) and wet in the winters. Surrounded by the Pacific Ocean. Thousands of kilometres away from other colonies. However, it is close to New Caledonia, which is controlled by the British. It has a fairly mountainous terrain. 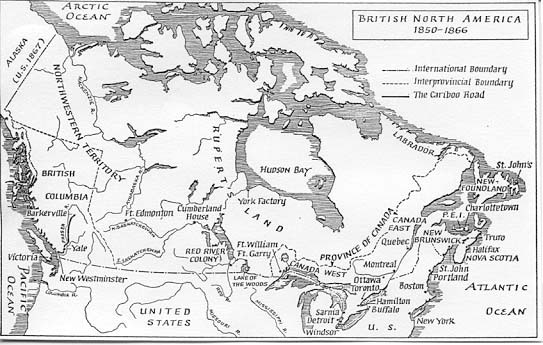 In the 1850s: During this era, north of the United States consisted of seven colonies: Newfoundland, Nova Scotia, New Brunswick, Prince Edward Island, Canada East, Canada West and Vancouver’s Island. Also, there was the North-West Territories, which was controlled by the British, but not a formal colony. In addition, there was New Caledonia and Rupert’s Land, which were both controlled by the Hudson’s Bay company. Write four separate pieces of information (facts) into your chart about the people in your colony. Include the amount of people, languages spoken, people’s cultural background and elements of everyday life in the colonies. 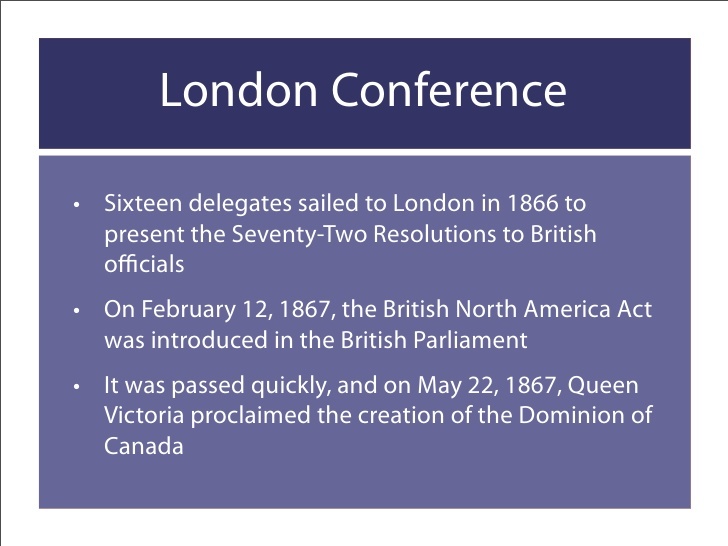 Lesson Focus: Why did some of the colonies put aside differences and create a new country—Canada? Confederation:the union of provinces and territories forming Canada. Political Deadlock: a situation where progress cannot be made because the parties involved do not agree. Reciprocity: an exchange of privileges or favours as a basis for relations between two countries. Intercolonial trade: trade among the British North America colonies. Corn Laws: British laws that governed the import and export of grain; in Britain, cereal grains were called corn.